Our window furnishings are not limited to Roller Blinds and Vertical Blinds, as a Luxaflex dealer we have access to a broader range of products including the popular energy efficient insulating DUETTES, elegant LUMINETTES / SILHOUETTES, Panel Glides and Venetians. 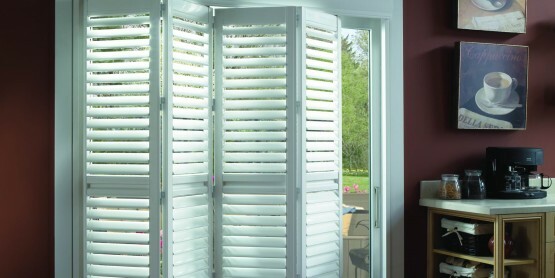 Our POLY-RESIN shutters can be custom made suit any window or door in bathrooms, bedrooms, patios and are an excellent option for maintaining privacy whilst controlling airflow this product has an unmatched 20 year warranty. Whitsunday Vogue Interiors is dedicated to employing local with our own Curtain Workroom located on-site with our showroom. We are the local stockist for Vision-Wall Wallpaper in which we have many designs and murals to choose from in our in-store books. 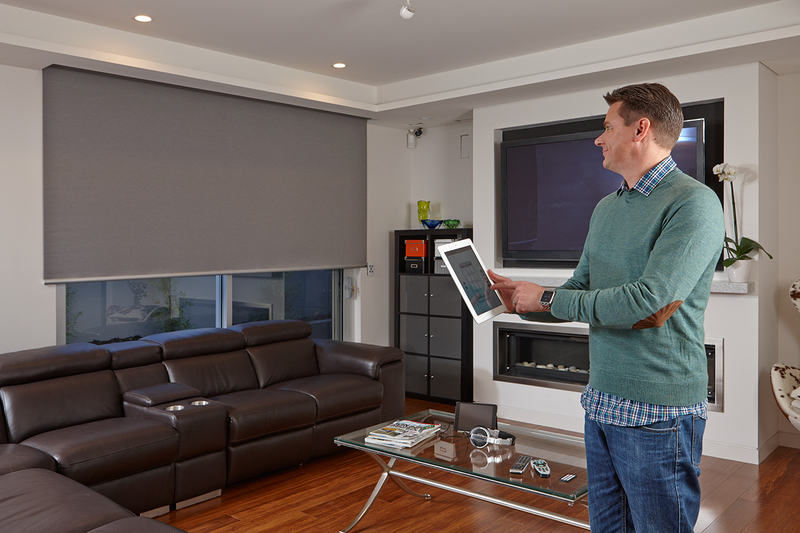 Q-motion is our battery operated roller blinds that can be controlled by any smartphone or tablet does not require the chasing of power or unsightly power points. Whitsunday Vogue Interiors are the only LUXAFLEX® dealer in the Whitsundays. 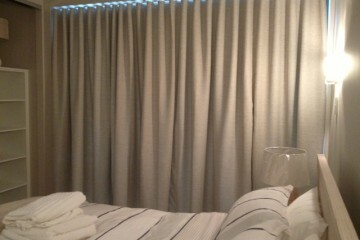 The LUXAFLEX® Window Fashions brand is one of the most widely known and respected window covering brands in Australia. Its products have been sold and supported by the Hunter Douglas Group in Australia for over fifty years. The range of LUXAFLEX® Window Fashions is the broadest collection of non-curtain window coverings available in Australia. It includes Venetian Blinds, Roller Blinds, Vertical Blinds, DUETTE® Shades, BEYOND WOODS® Blinds, COUNTRY WOODS® Venetian Blinds, LUXAFLEX NEWSTYLE™ Shutters, Fabric Awnings, Metal Awnings, Sunscreens, Roman Shades, Panel Glide, SILHOUETTE® Shadings and LUMINETTE® Privacy Sheers.